Is a Kindle a frugal purchase? Every time I go to the Amazon page it seems you see something throw in your face about their Kindle. Honestly it makes me wish I could 'opt out' of their hyperactive Kindle promotional campaign. But still I'm a fan of electronics gadgets and the Kindle is pretty neat. It lets you store 100's of books that you download directly from Amazon on their wireless network. I personally love how it reminds me of a Star Trek Tricorder. However as neato a gadget as it is, the new Kindle 2 costs $359 to buy. That is quite a lot more than the $1-2 which I usually spend on used books. The books for the Kindle do come at a discount price over new print copies so theoretically you could end up saving money in the long run with a Kindle. I decided to take a closer look at the Kindle to see if it can save you money or not. First lets look at a fe w somewhat randomly selected popular new titles. I grabbed the following books off the front page of the Kindle section on Amazon. At least when looking at this small sample it looks like the Kindle will save you about $2 over used versions or little less than $5 versus new copy when buying newly published books. Personally most of the books I read are not brand new books. A lot of the books I read were written years or decades ago. How does the Kindle do when you're buying older print books? For older print books the Kindle price is $7.97 more expensive then buying used and at least $44.73 less expensive than buying new. On average thats $1.59 more expensive per title for used and $8.95 less expensive per title for new. Note that the savings on new versions is a bit skewed by that rather pricey $30 new copy of Battlefield Earth. If you remove that from the averages then the savings per new title is $5.28 per new title. Books aren't the only thing you can get with a Kindle. They also advertise the ability to get newspapers and magazines delivered to your Kindle. Lets look at how the prices on news print stacks up for a Kindle. Note that they say the Kindle version "contains most articles found in the print edition, but will not include all images"
For magazines it looks like the Kindle is typically over $1 more per magazine edition than the print versions. Kindle offers "most articles" and "will not include all images"
"Also, some features such as the crossword puzzle, box scores and classifieds are not currently available." Home delivery on the West coast is Daily Delivery (7 Days) for "just" $6.70 per week or $26.80 a month. The Kindle is about $2 more a month for USA Today. With the NY Times though you can save money with the Kindle. The online version is $1 more a month and the print version can be up to $12.80 more a month. So with newspapers it depends, they can be a bit cheaper or a bit more expensive. Old print books : Kindle costs you over $1 more per older title versus used copies or saves $5-8 per new. 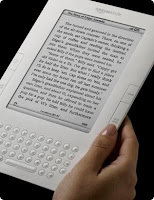 Newspapers: Kindle subscriptions to newspapers can be more or less expensive depending on the title in question. Keep in mind that I'm only comparing the Kindle to buying print books off of Amazon. You of course might find the same books cheaper elsewhere like at a local used bookstore or thrift store. Also when you buy print books you can resell them after you read them for a fraction of the purchase price. I can normally trade in my used books at the local bookstore for half credit towards another books. What is the pay back / break even point for a Kindle? Ok so now we know how much roughly you might save per book if you have a Kindle. How many books do you need to buy to make up the purchase cost of the Kindle itself? The Kindle 2 costs $359 to buy. I am going to assume that the Kindle will last you roughly 5 years before it breaks down or becomes obsolete. So you'll have to save at least $71.80 per year in book costs. That equates to about 14 new recently published books or 35 used recent titles. To have any chance of breaking even on a Kindle purchase you'd have to buy at least 15 new books or over 35 used copies a year. That a pretty large number of books. To be fair there is something to be said for the convenience factor of a Kindle. The Kindle is lightweight and portable. I've got a few bookshelves full of books at home that a thin little kindle could replace completely. Overall I would say that the Kindle is usually not a particularly frugal purchase. You only save a few dollars per new title and the Kindle is often more expensive per title than used books. Magazines on the Kindle are overpriced and newspapers are hit or miss. I'm sure there are some exceptions where people might make good use of a Kindle and save a few bucks on books over their existing book buying habits. But the Kindle is still not likely to be their most frugal option. Buy used books and then resell them on eBay or at the local bookstore when you're done with them. Last but not least, simply get all your books virtually free at the good old local library. One last point, Amazon is fudging numbers a little. To me there seems to be a little bit of exaggeration by Amazon on Kindle book savings. When you look at Amazon Kindle stuff they seem to show the list price of the new book and compare that to the Kindle price. So for example with the book The 4 Day Diet they show the list price as $24.99 and compare that to the Kindle price of $9.99 So you look at that and it seems that the Kindle is saving you $15 on that one book. But if you then go and look up the price for that same book on Amazon in print version its $14.97. So you're really only saving maybe $5 for the title. Why wouldn't Amazon use their own prices for print books when they're comparing Kindle prices? The only reason I can see is that they're purposefully trying to inflate the book savings for a Kindle. I think it is a bit disingenuous on the part of Amazon. Dealing with health insurance denials. Is job loss insurance worth paying for? Do you need Long Term Disability (LTD) insurance?